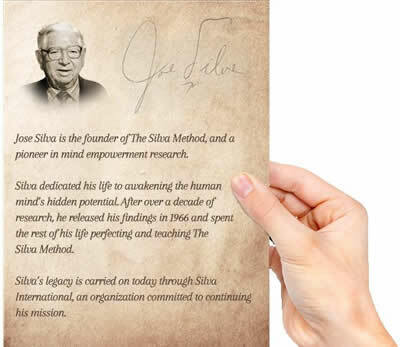 Over 6 Million People in 110 Countries in nearly 50 Years – Including Scientists, Doctors, Artists, and Entrepreneurs – Have Used The Silva Method® (aka. Silva Mind Control) To Experience A Life Beyond The Ordinary. It’s What Meditation Backed By Four Decades of Research Can Do. Just One Example Of What Silva Participants are accomplishing. Scientists have demonstrated that Alpha and Theta brainwave frequencies are associated with inner levels of mental activity. A State Of Being where you experience tranquility, rest, inspiration, accelerated healing, creativity, intuition, accelerated learning, and memory. We attain these states of mind during sleep. The question is… how do you achieve this state of mind during waking consciousness? And more importantly, how do you use it to overcome your limitations and challenges. How do you then triumph over your unwanted habits and negative thought patterns, and enrich certain aspects of your life? It took Jose Silva 22 years (1944- 1966) and $250,000 (1940’s money) to bring this to you in 1966. In the past 5 decades, The Silva Method has touched over 6 million lives in 110 countries. Silva is used by everyone from celebrities to high-flying CEOs to regular people in search of personal breakthroughs. Our books have sold over 12 million copies. Our seminars continue across the world. Our findings have been endorsed and practiced by many of the world’s most respected scientists, doctors, thought leaders, and spiritual teachers. In Just 15 Minutes A Day of practice, you could have the answer to CONSISTENT SUCCESS in your career & personal life, unshakable health & happiness. And a life awakened to your purpose. Imagine for just a moment what it would feel like to be in “total control” of your mind, body, and emotions! This seminar was originally called Silva Mind Control for just this reason! After attending the Silva Method seminar, you will be able to direct your personal energy, minimize the negative effects of stress and improve your health. When you direct your energy you can achieve a healthy, positive state in seconds. This is the first key to a happier life. Without this ability, your health deteriorates, you age quicker, your relationships suffer, and you work harder and longer to achieve less. > an increase in adherence to moral and ethical standards. > and better social self-image. > It also led to a decrease in self-criticism. > led to greater self-assurance and warm heartedness. To achieve what you want out of life, you first need to know what you want! Then comes the challenge of staying focused, positive and motivated – a quality called DYNAMIC FOCUS. We create what we focus on. By learning to focus on your goals, you will become more positive and directed. You will more easily be able to leap over obstacles on your path. Any message repeated often enough, especially during childhood, forms the seeds of deep-rooted beliefs. From infancy, we have all been unconsciously “programmed” by our parents, teachers, siblings, the media and society, mostly with good intentions but bad results. The Silva Method was created to free us of these negative beliefs and behaviors. Yet we all know of bad students who became extremely successful such as Edison, Einstein. Avoid being a victim…take action now and own your life! Access your creativity and intuition. Making the most of opportunities also means recognizing them for what they are. Imagine having such a keen sense of intuition, so well developed, that you could reliably and regularly tap into its source. Would this type of ability have helped you make better decisions in the past? Intuition, like creativity and imagination, is a faculty of genius in our opinion. Ninety percent of adults have lost their ability to draw from this part of their intelligence. We all possessed these abilities as children. Regain your creative genius by enrolling in the Silva Method program. You will learn proven, reliable techniques to access your creativity and intuition on demand. In the Silva 4 Day Immersion, you will learn a variety of mental visualization methods designed to accelerate your mind and body’s natural capacity for physical and emotional healing. These results have been studied and endorsed by a variety of medical practitioners. During the 4 Day Immersion Experience, you will learn how to enter the Alpha level at will. Then you’ll learn to use your creative mind to help you think of solutions to problems, enhance creativity or let inspiration flow. Silva graduates have used this process to develop patents, start new businesses, or to create works of art, literature and music. Bestselling author Richard Bach praised The Silva Method publicly. “Mental discipline and creative visualization are what’s behind the power of the Silva Method,” he said in an article in Harper’s Bazaar magazine. Bach also credits inspiration from The Silva Method as having helped him finish his best-selling book, “Jonathan Livingston Seagull”. Bandleader Doc Severinsen has composed music while at his Alpha level. In a newspaper article, he claimed it helped him connect better with his own spiritual life, and in doing so he became a much better person. World-renowned sculptor Harry Jackson said it brought him the peace of mind he had been searching for. 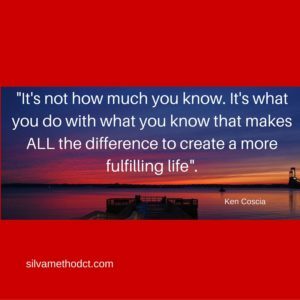 The Silva Method is more than a motivational self-help course. Motivational self-help courses leave you on a high for a few days but people often revert to their old ways after several weeks. Whether you’re 12 years old or 80 years old, Silva helps you think bigger, and plants in you the unbreakable desire to accomplish and do more with your life. Garfield said, “During mental rehearsal, athletes create mental images of the exact movements they want to emulate in their sport. Silva teaches you to “command” your mind to let you fall asleep when you choose to. It also shows you how to set your internal clock to be able to wake up anytime—without the use of an alarm clock. Imagine how much productivity and energy you will gain by always having a good night’s rest. Silva recognizes that everyone is born with intuitive abilities. And that anyone who learns how to manifest these abilities can function at a highly intuitive level. Through our proprietary scientific and time-tested process, you’ll learn how to use your built in psychic abilities in everyday life. You’ll learn to use your “gut feeling” for a happier, more successful and more enlightened life. Four of the other five (who did not show improvement) were already functioning in a high intuitive mode before the training. Intuition is valuable for students and adults alike. We are all born with unique talents and gifts that too often get lost, forgotten or left behind to bury themselves deep in our subconscious. Through a special process called the Visioning Exercise, which is a deep theta meditation called Connection to Life’s Purpose, you are able to get glimpses of your life’s calling. And allow those glimpses to surface to your consciousness for you to act upon and live a purpose driven life. Our intelligence is connected to all information. Intelligence uses the mind to move around in both the physical and spiritual dimension in search for information to solve all kinds of problems through decision-making. Mind, through its ability to see, hear, taste, touch, and smell, is what intelligence uses to attune to anything beyond the barriers of time and space. Accurate and useful information for decision-making is always available. The Silva Method process for enhancing your intuition is an effective method that allows you to clear up any mixed signal you may be receiving and have a clear connection to “knowing” allowing all of your decisions, including financial ones to be the best. Transform your life for the better, by attending this famous seminar. HOW DOES THIS METHOD DIFFER FROM EVERY OTHER COURSE YOU HAVE EVER ATTENDED (OR EVEN HEARD OF)? Other mind development or motivational training is great at telling you the importance of optimism and staying focused and positive. Our curriculum, a unique combination of Alpha and Theta level exercises, creative visualizations, habit control, and positive programming methods (Dynamic Meditation), has been endorsed by various thought leaders and scientists. oncology research pioneer Dr. O. Carl Simonton. The simple, yet eloquent, message of Silva’s coursework and books has touched millions of lives in the most intimate, yet profound way imaginable-by giving back the peace that comes from discovering our own connection to life. 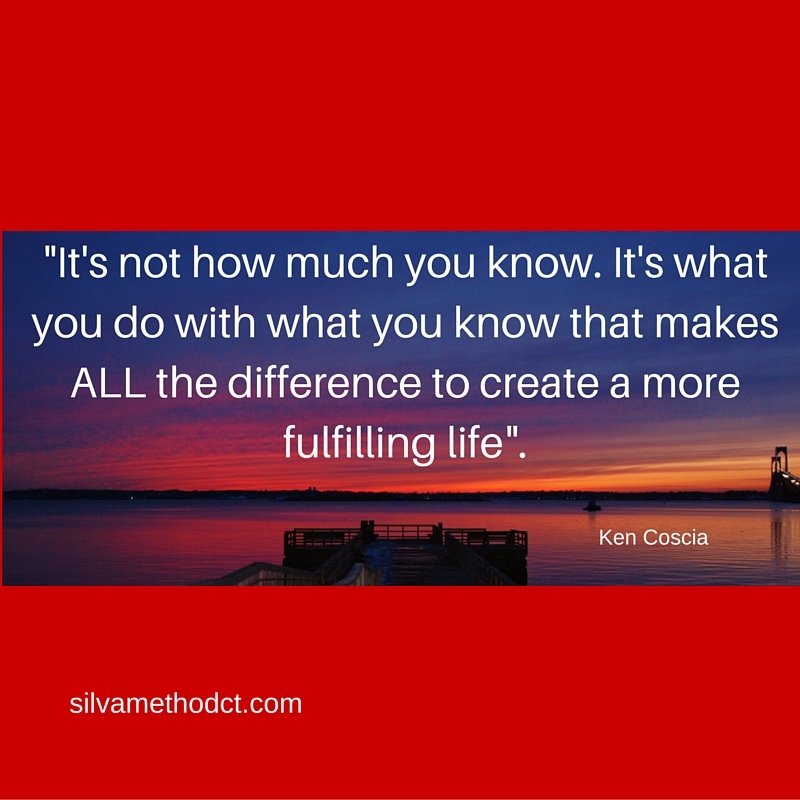 If you’ve ever suspected that you’re waiting for just the right time and just the right reason to awaken your own power to transform your life, take charge and control of your life, now is the time and Jose Silva’s coursework with Ken Coscia, as your Instructor, are the reasons! WHY IS A LIVE SILVA EVENT MORE EFFECTIVE THAN THE CDS OR ONLINE VIDEO? The 4-Day Immersion of Life and Intuition System with Ken is an intimate experience that has very high IMPACT. You are one of up to 24 participants and therefore you are certain to receive any personalized attention you desire and deserve. community building…not feeling like you are alone in the world. Live events transform people at the cellular level. The changes people make, the shifts they have, the new intentions or goals you set have a way better chance of sticking when they are witnessed live during your process of transformation. When people are witnessed by their tribe shifting or making a commitment to a new way of being… they are WAY more likely to sustain that shift, and follow through on that commitment. You just can’t beat live events for positive, deep, long-lasting IMPACT! Best of all, you will be entitled to repeat the program anywhere in the world for the rest of your life for a small seat charge. When you bring a friend, it the seat charge is waived. Note taking is not necessary. There are NO tests. Once you are a Graduate of the Silva Method, you have Lifetime FREE Review Privileges for a small nominal seat charge! Retake as often as you wish! THE BOTTOM LINE: Money-back guarantee upon completion of the full 4 day program. A program backed by science, experience, and research. We’ve spent nearly 53 years researching, experimenting and collaborating with leading scientists, researchers and personal growth leaders. 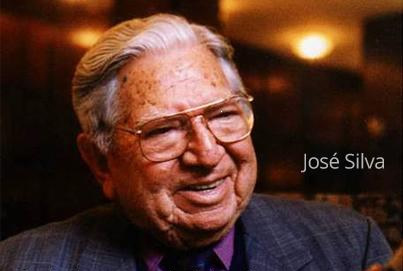 The late Jose Silva is the creator of The Silva Method who dedicated his life to awakening the mind’s hidden potential. Jose Silva will indeed go down in history, as one of the pioneers who started it all. He started in 1944 with an act of love to help his children improve their memory and learning capabilities. He accomplished this and when the children began to accurately anticipate his questions and/or new topics, he realized that he was onto something of more value than improving memory. He then, after extensive research and development with numerous modalities; such as meditation, hypnosis, positive psychology, parapsychology, and biofeedback, identified unifying principles, developed the Silva Method mind technology and began teaching it in 1966 throughout Texas. The first scientist to investigate the research of The Silva Method was Dr. J. Wilfred Hahn of the Mind Science Foundation in California, who went on to endorse our work.